Jesse joined the ETC in 2002, where he advises research projects and teaches classes in Game Design and Building Virtual Worlds. Formerly the Chairman of the International Game Developers Association, he is also the author of the award winning book The Art of Game Design: A Book of Lenses. In 2004, he was named one of the world's Top 100 Young Innovators by Technology Review, MIT's magazine of innovation. He is also the CEO of Schell Games, the largest game studio in Pennsylvania. 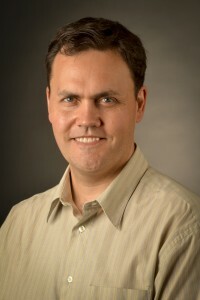 Prior to joining the ETC, Jesse was the Creative Director of the Walt Disney Imagineering Virtual Reality Studio, where he worked and played for seven years as designer, programmer and manager on several projects for Disney theme parks and DisneyQuest, as well as on Toontown Online, the first massively multiplayer game for kids. Before that, he worked as writer, director, performer, juggler, comedian, and circus artist for both Freihofer's Mime Circus and the Juggler's Guild.